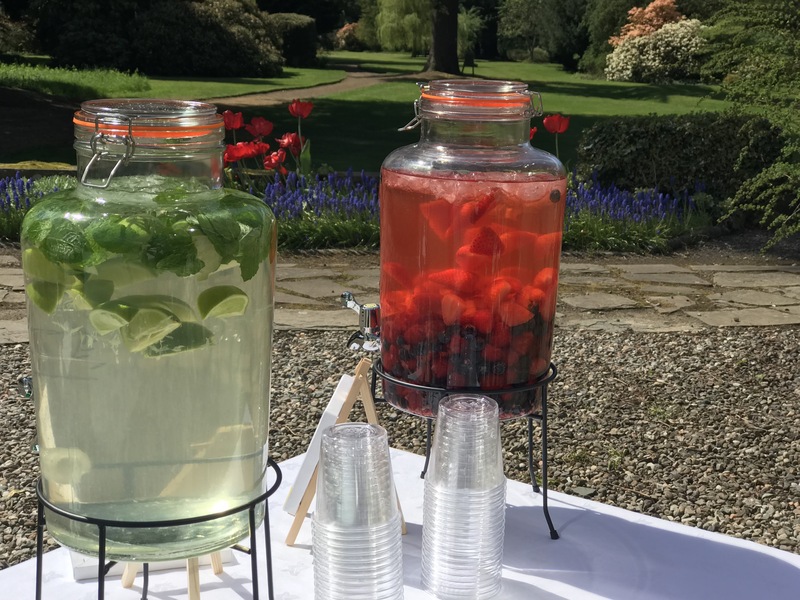 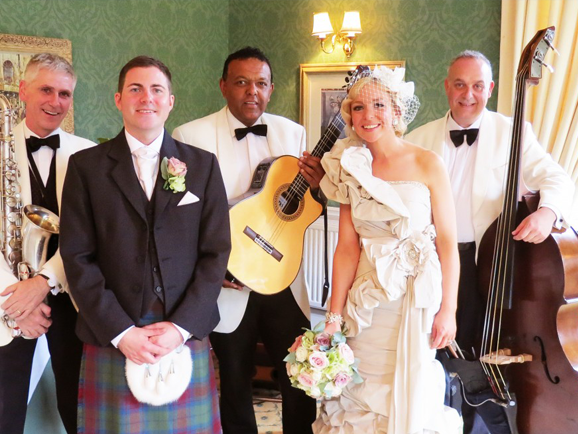 Looking for 3 fun and entertaining ideas for a wedding in Scotland? 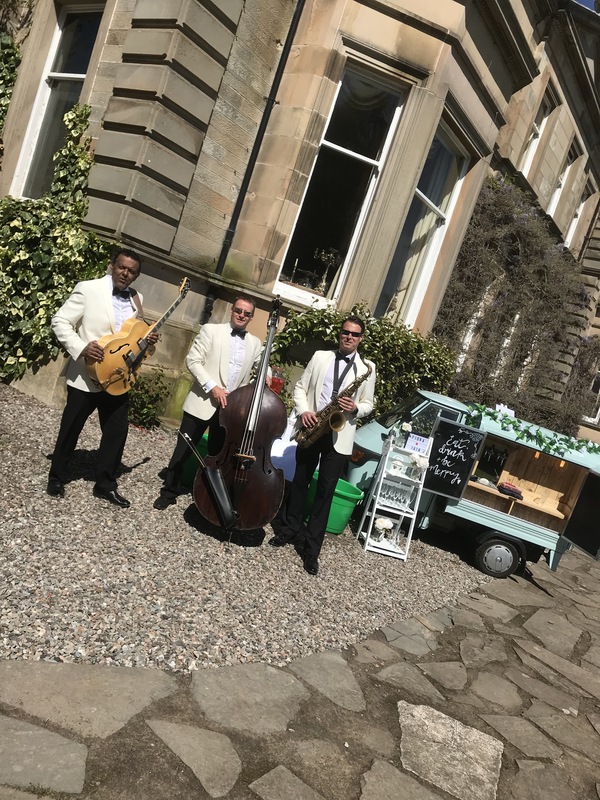 Then look no further, Introducing the hugely successful and elegant Ritz Trio – the perfect addition to your drinks reception, champagne cocktail party in Scotland. 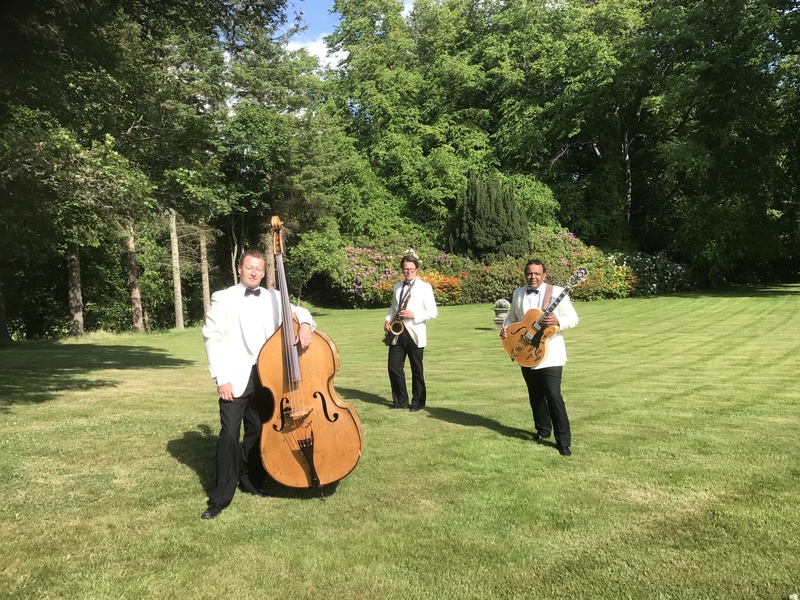 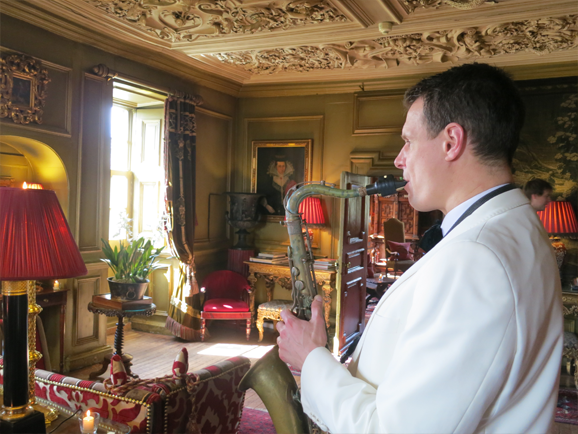 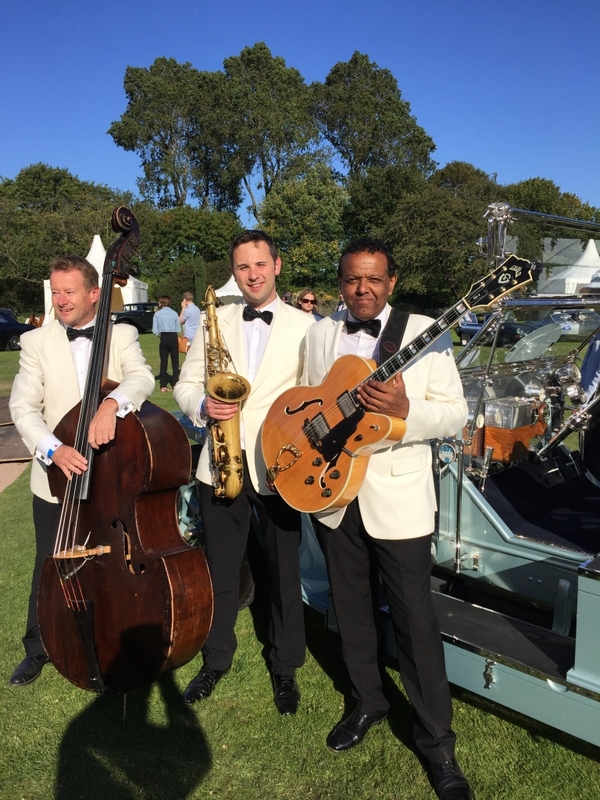 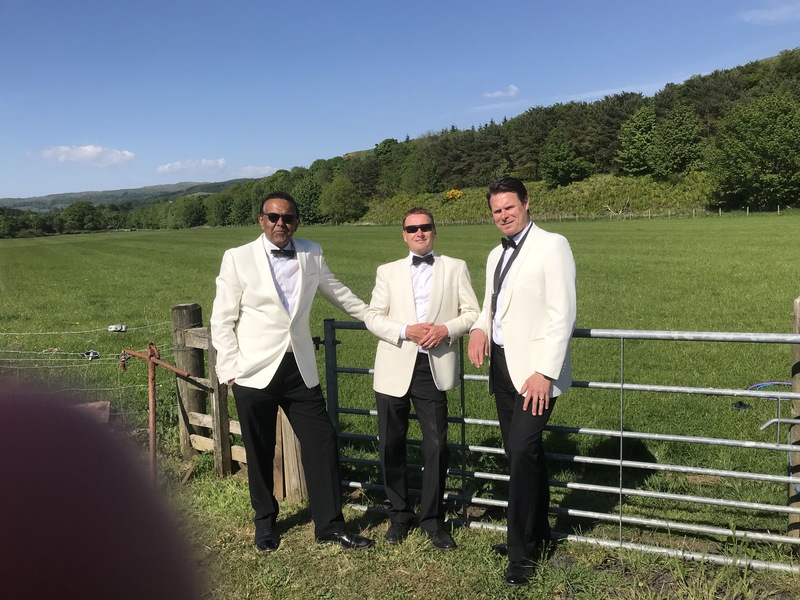 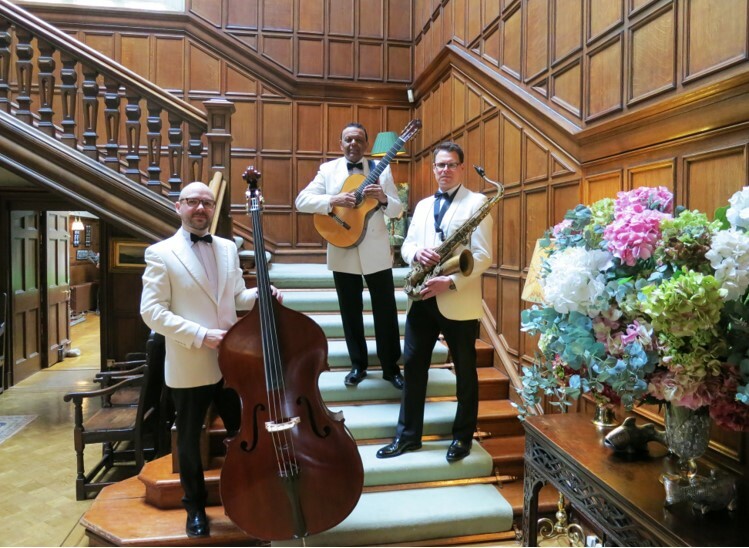 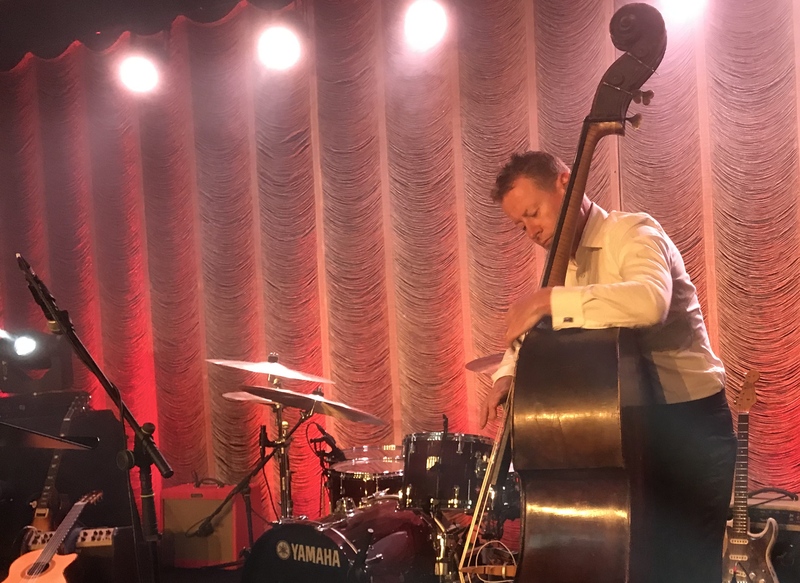 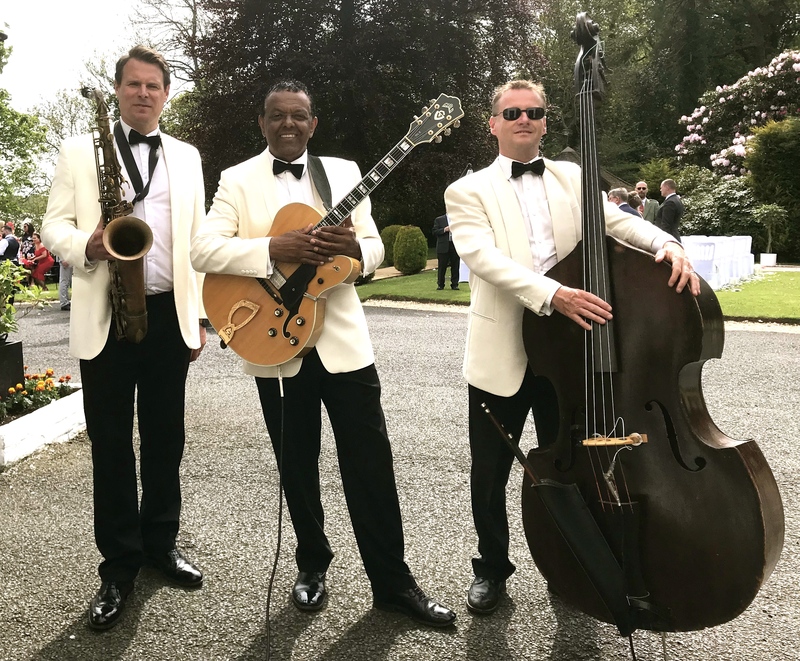 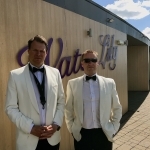 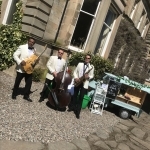 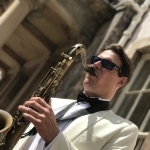 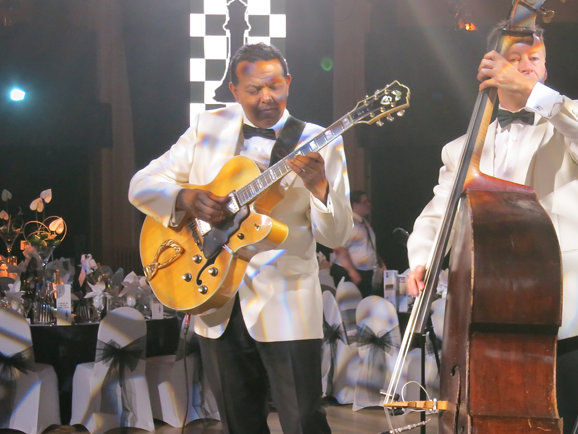 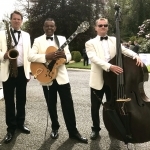 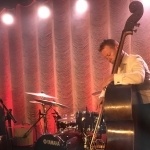 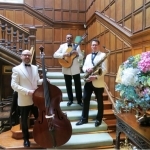 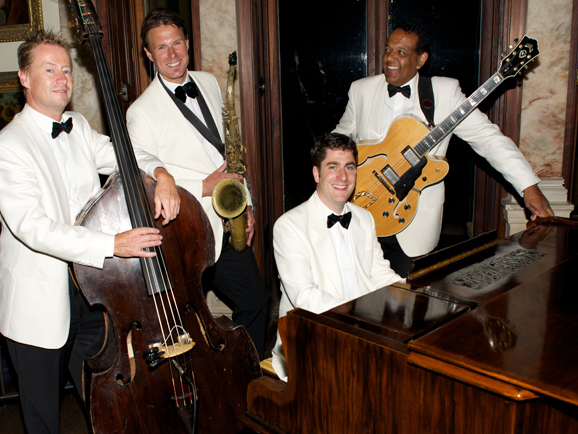 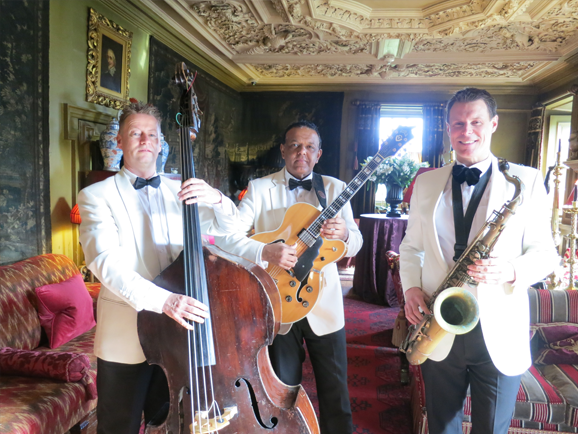 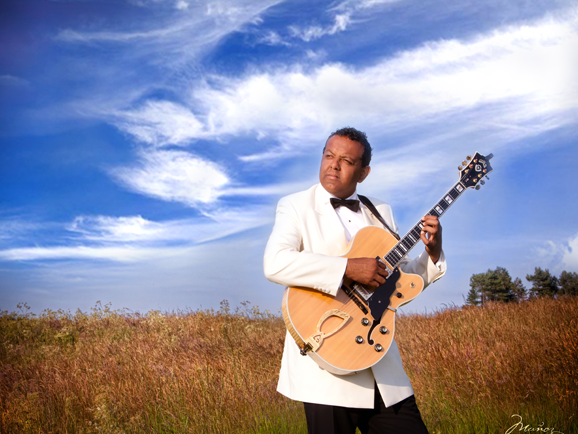 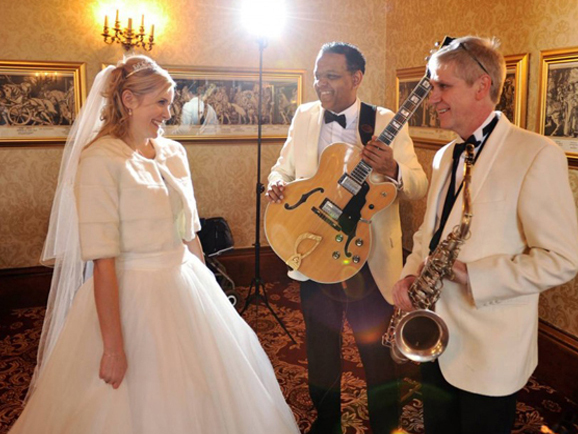 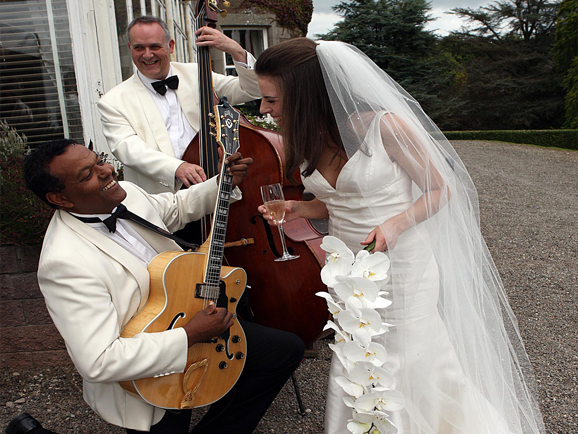 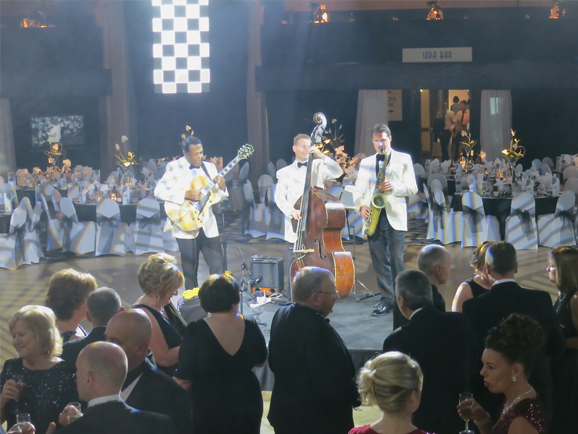 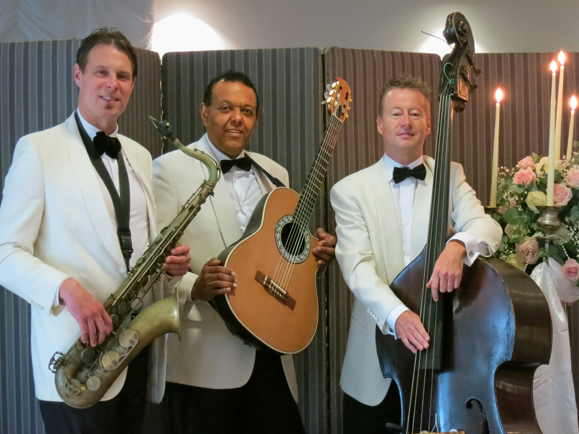 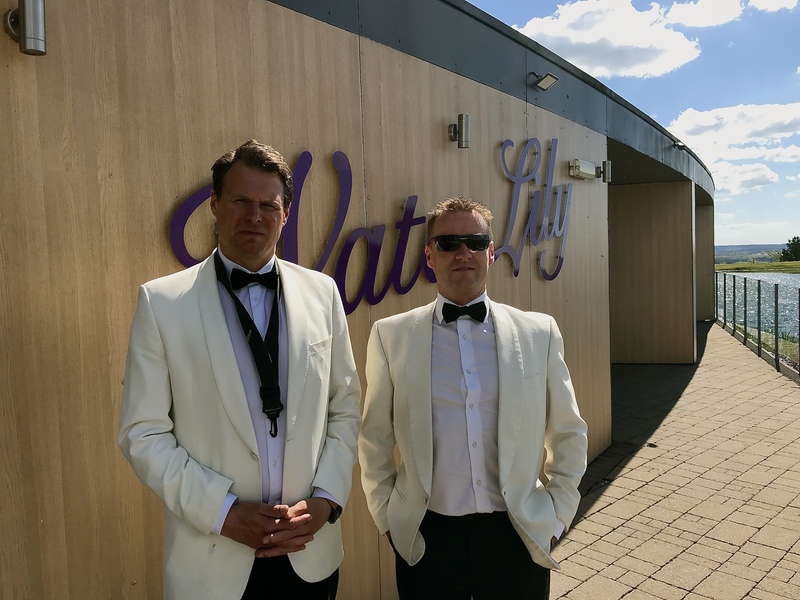 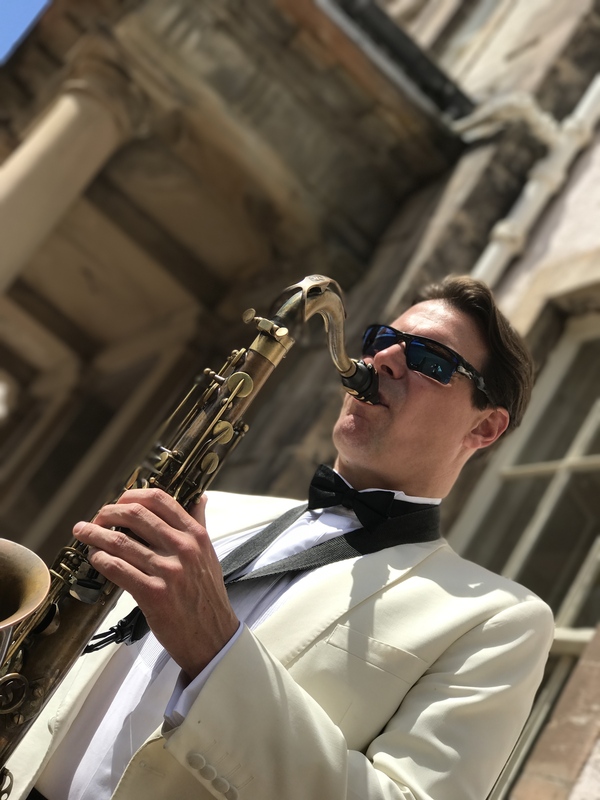 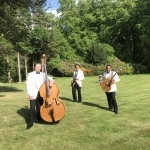 This sophisticated, elegant, often humorous, definitely entertaining jazz band have been performing throughout Scotland and further afield for over fifteen years.The Ritz Trio will make your wedding, champagne cocktail party or special event a truly unique and memorable occasion. 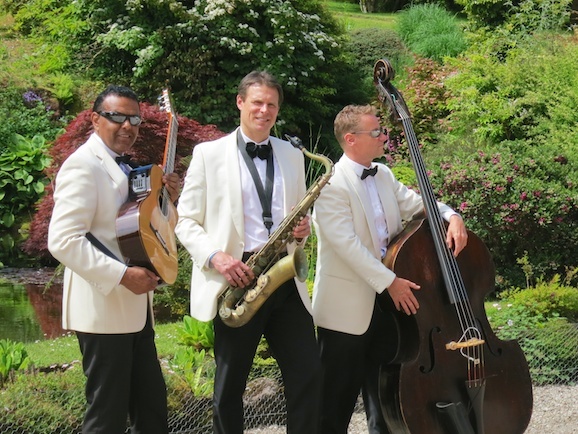 Dressed in their stylish white DJs and a sound to match- these guys will help “Put The Ritz” into your big event!The Ritz Trio play music ranging from Swing and Rat Pack to some fun arrangements of a few more popular tunes such as “It Must Be Love, Love Love” “My Guy” and “Can’t Take My Eyes Off You” to name a few, all played at a level to enable your guests to talk, shuffle and enjoy a champagne cocktail reception.From the moment you make contact with us you can be assured that planning the music for your wedding or corporate event in Scotland will be a trouble free experience. 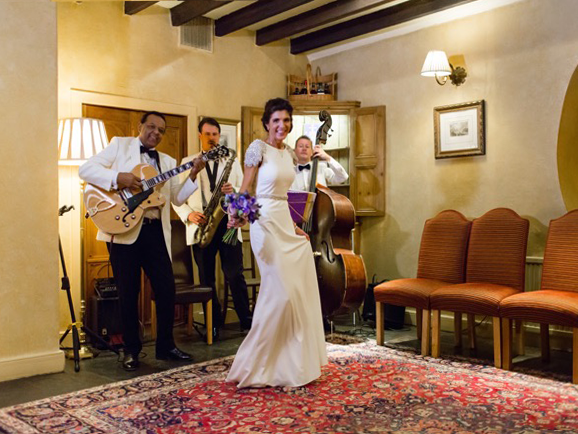 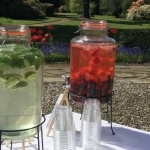 You can relax and look forward to the big day when we create an unforgettable atmosphere for you and your guests.